Some historical background is in order. For 71 years, Mexican politics and government were totally dominated by the paradoxically named Party of the Institutional Revolution (PRI), which held the presidency and virtually all governorships from 1929 to 2000. Under the PRI system, presidents served one six-year term and in their last year — usually a time of catastrophes — chose their successors, who paraded around the country and were elected without difficulty. Once in office, the new president blamed all his problems on his predecessor, who often left the country. This system suited the sensibility of a nation whose culture is still at least partly Aztec: It combined elements of calendrical regularity, elaborate ceremony and human sacrifice. This system worked tolerably well for 30-some years. But as time went on, it produced widespread corruption, periodic currency devaluations and massive outmigration. Mexico seemed to be falling further behind the United States. Read how things have changed here, and also at NRO (h/t Instapundit). 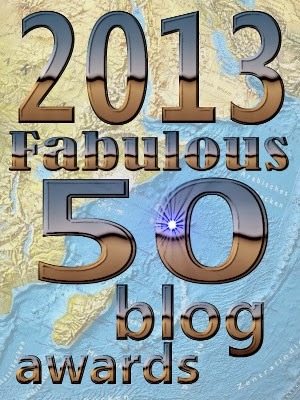 Fausta’s blog is one of the Fabulous Fifty – for Best Latin American Coverage! At least 59 inmates have been killed in a single northern Brazilian prison this year; the town is Pedrinhas. Brazil is raising taxes on more transactions its residents make abroad, as the country tries to increase government revenue and reduce the outflow of dollars. The Colombian military says it has killed at least 10 members of the left-wing Farc rebel group in an operation in central Meta province. The Free Alan Gross website. Mexico’s pet owners are bracing for a new tax on pet food, which the government recently declared a “luxury item. In fact, so much gold has been produced by the “informal” (or “illegal’) mining sector in Peru – involving some 40,000 miners who have tried to scrape whatever they can in abandoned mines around the country, from the jungle province of Puerto Maldonado to the deserted landscape of Ica – that gold has become more lucrative than cocaine trafficking (of which Peru is the largest exporter, having surpassed Colombia in 2012, according to the United Nations). It’s been an up-and-down week for public pensions. In San Jose, a judge struck down a significant piece of the city’s pension reform plan, setting the stage for a big ballot fight next year. In Puerto Rico, on the other hand, the Senate finally passed a measure to put the Teachers Pesion Fund on solid footing. Eighteen people believed to be migrants from Haiti died Wednesday when their overloaded sailboat overturned as it was being escorted to shore in the Turks and Caicos Islands. Venezuelan President Nicolás Maduro said China has given his country $5 billion in credits under a deal reached in September. A decade or so ago Venezuelan crude was sold on longterm contracts at about $10 per barrel discount from the two widget fiction crudes, WTI & Brent. Looks like it is now $20 discount and crude production has declined quite a bit. What Will Happen In Venezuela In 2014? ICYMI, The Venezuelan State’s Occupy “Movement”: The Victory of Socialism! Ecuador: Cléver Jiménez, accused of hacking, gets raided. Assange & Snowden could not be reached for comment. In Havana a small white clique rules a majority black nation. 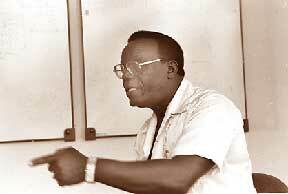 Eusebio Peñalver was locked up for 28 years, one more than Nelson Mandela. Argentina’s having a heatwave, so a ‘state of emergency’ declared as power and water supplies fail; the water shortages are more acute for high-rise buildings where water has to be pumped up. Argentina — which still hasn’t sorted out its $100 billion sovereign default with all its creditors dating back to 2001 — has absolutely no money to be shoveling out on space programs. It’s doing it anyway. The rocket launch is part of a broader ramp-up of military spending, which goes to $6.1 billion in 2014. Wether you’re looking at figures for murder or GDP growth, if they come from the Argentinian government they’re probably false. Melina Sedo & Detlef Engel dance to “Confesión” by OT Porteña. 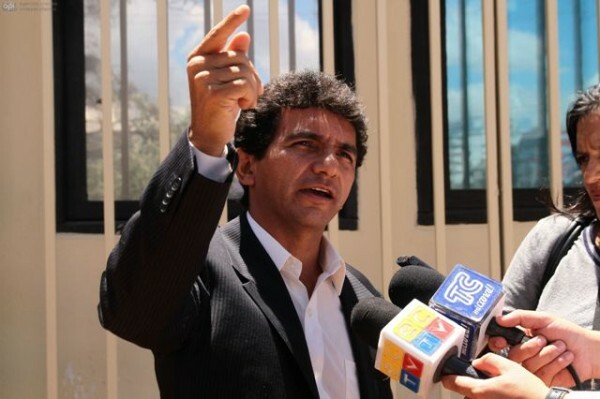 Ecuadorian Assemblyman Cléver Jiménez claims to have documentation of corruption in high places, which has displeased president Rafael Correa. Now Jiménez is under investigation for espionage, and yesterday his home was raided in his absence by a SWAT team, 3 criminologists, a prosecutor from Pichincha and a number of his aides. Jiménez’s attorney stated the raid was carried out without a warrant. Additionally, Jiménez’s office at the National Assembly was raided and his computer and documents were removed. I could not reach Julian Assange in London for his reaction to the warrantless raid by the government of his patron Correa, who claims ‘Britain is violating Julian Assange’s human rights,’ while Correa persecutes an elected official for hacking. ought to come out of his Russian hidey-hole and stand for Jiménez’s rights. But the fact remains that in 2013, Mexico was the only country in the Americas —including the United States — where the government and opposition parties broke decades of political paralysis to approve profound reforms that could speed up the country’s development for many decades.